Spin for cash and draw tickets! Play a selection of slots for cash prizes & tickets to the Grand Holiday Draw! Third and last part of the inter-galactic summer promotion. Ready to head off on a summer holiday? 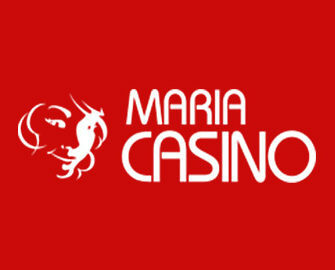 Then Maria Casino might provide just that in their Grand Holiday Draw where one lucky winner will be jetting off with five friends or family members to exotic Marrakech in Morroco. If you didn’t get any tickets in the previous week during the Live Roulette Tournament then take your chances in this week’s £20,000 Slot Tournament to earn between 2 – 30 tickets and win cash prizes of up to £5,000. Awesome finale to the jet-set summer promotion at Maria Casino. The week-long slot tournament will see huge cash prizes and more tickets to the Grand Holiday Draw going to the most worthy contenders. In true Maria style, the tournament is about the highest equalized win, hence everyone has the same chance to climb to the top of the leader board. Leader Board Ranking: The top 250 players with the biggest equalized win over 20 consecutive rounds will share the £20,000 prize pool and entries to the Grand Holiday Draw. Prizes: 1st to 100th – between £5,000.00 + 30 entries to the holiday prize draw and £10.00 + 2 entries to the holiday prize draw. Minimum bet is £0.20 or currency equivalent. Only cash bets qualify. All prizes are cash, no wagering requirement and will be credited on 29th June 2017. Terms and conditions apply.